Home Port Flooring &Design is more than a store that offers carpets. 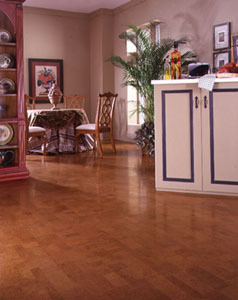 We carry a wide variety of vinyl and linoleum in thousands of colors and styles. You will find that we stock the most popular lines in flooring, such as Pergo, hardwood, bamboo and ceramic tile. We are an authorized Shaw distributor and carry the Kathy Ireland brand of area rugs. In our showcase we can help you design your home with exotic and unique tiles, window coverings and countertops to suit any décor. We carry granite, natural stones, slate and marble. If you are a contractor in need of large volumes of unique flooring or specialized material, visit our partner, Flooring Connections. We offer hard to find, discontinued lots, and large lot wholesale flooring at discounted prices. We are located in Friday Harbor in the San Juan Islands and our newly remodeled store now includes three showrooms and new display models. We have over 30 years experience and provide free estimates, insurance work, help with budgeting and design consultation. We also provide remodel services for hospitality suites or time-shares. From ceiling to floor, Home Port Flooring & Design and its contractors will provide you with outstanding service and quality. Our knowledgeable and friendly sales staff will welcome you and assist you with your purchase. We are located on the corner of Nichols Ave and A Street and are available during business hours Monday through Saturday or by special appointment. From do-it-yourself to complete custom design and installation, we are here to help you.